This comparison makes a compelling argument for choosing a deck/s in line with what resonates most strongly with you. 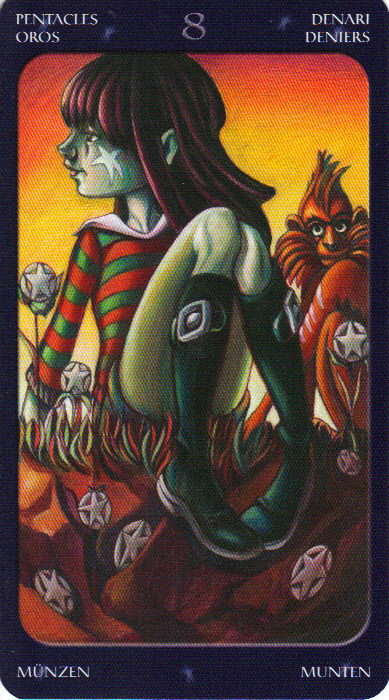 This week focuses on duality, harmony, choices at the level of ideas, possibilities, options in your creative process. You may be feeling discontent, restlessness or longing for an alternative to where you are. 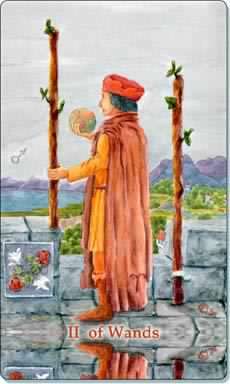 The 2 of Wands is sometimes called the ‘Cinderella card’ as the energy can stimulate mammoth change. Miracles can transport you beyond current limitations. Receptivity is critical in transition. Whether it is a project or a relationship, you need to reflect on the wide range of possibilities available to you. Think outside the box. Will conventional methods satisfy your needs? Be driven by the impulse to move forward. Break it down into practical tasks and plans. Ground it in reality. You are receiving important insights from your environment on how to take your next steps. This card is sometimes seen as always wanting more. Whilst it is important to always strive for better, it is also important to be grateful for how far you have come and for all that you have in your life. This card indicates progressing to the next level. Optimise the doorways of opportunity. 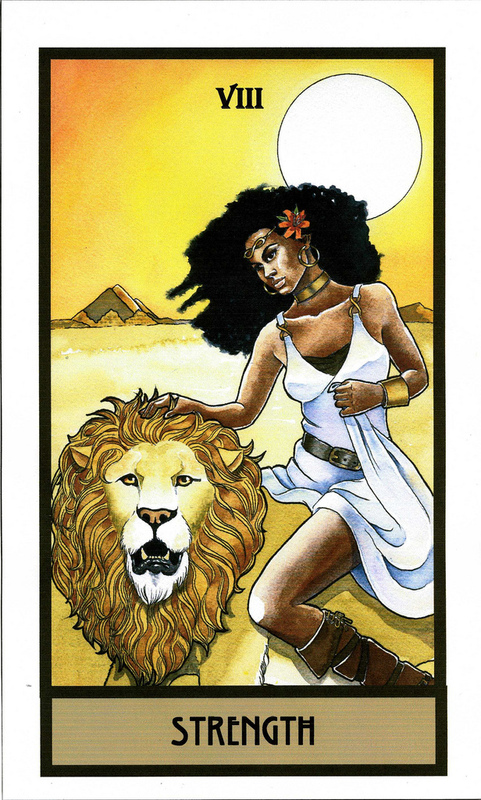 This card indicates ambition, determination, learning, focus, studying. At this time of the year, one may be exhausted but there’s just the last stretch before the holidays. So focus, keep building, reflect, learn, finish what you are doing so that when you get back in the new year, feeling refreshed and energised, you can keep going forward rather than returning to unfinished business. You are a master at your craft, distinguish yourself. Keep your energy up. Do not settle for half measures. 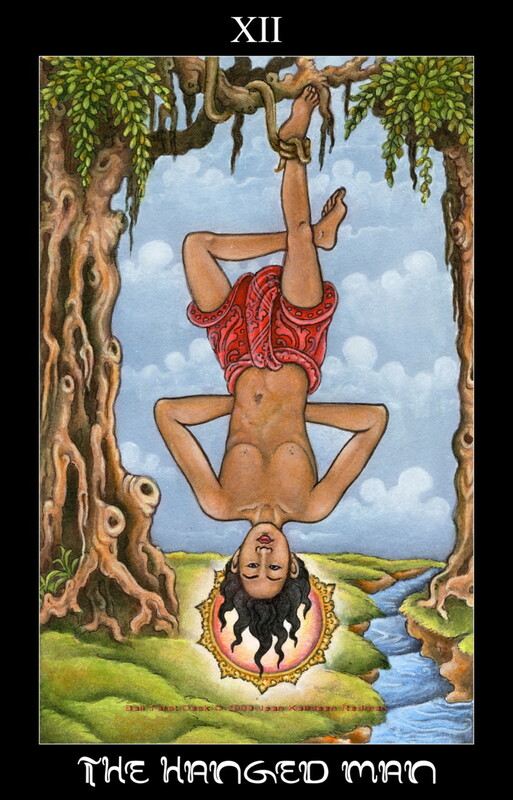 Temperance means moderation, this card embodies all things relating to moderation. 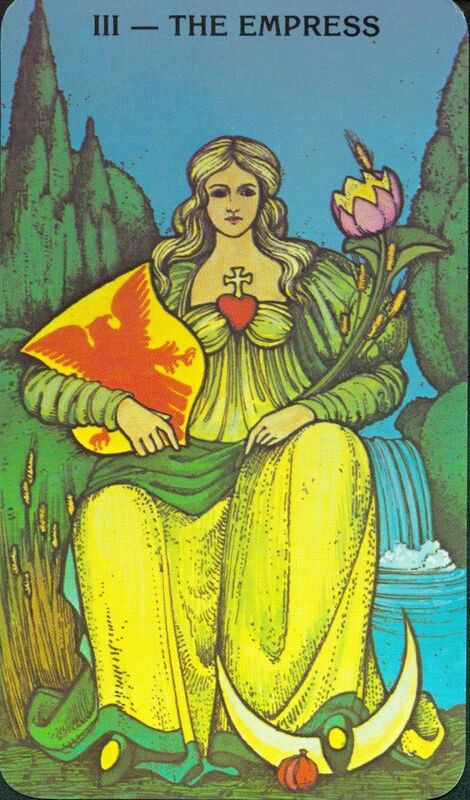 Temperance represents balance, harmony, prioritising, cooperation,and synthesis between two opposites. The past week simply ran away from me with work traveling. I hope you will indulge my sincere apology for missing last week’s blog. I do my level best to stay on top of the weekly blog but sometimes the juggling is overwhelming. All one can do is find the next gap to jump back on it. I truly love this blog. 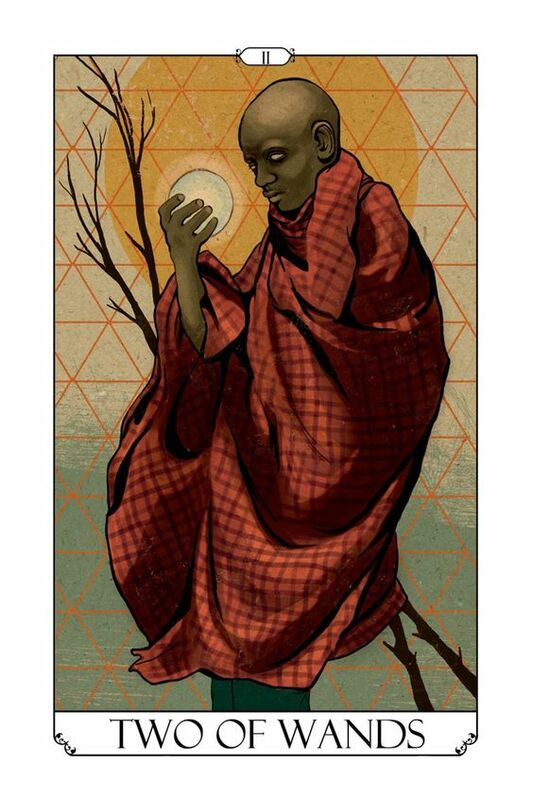 I love Tarot. 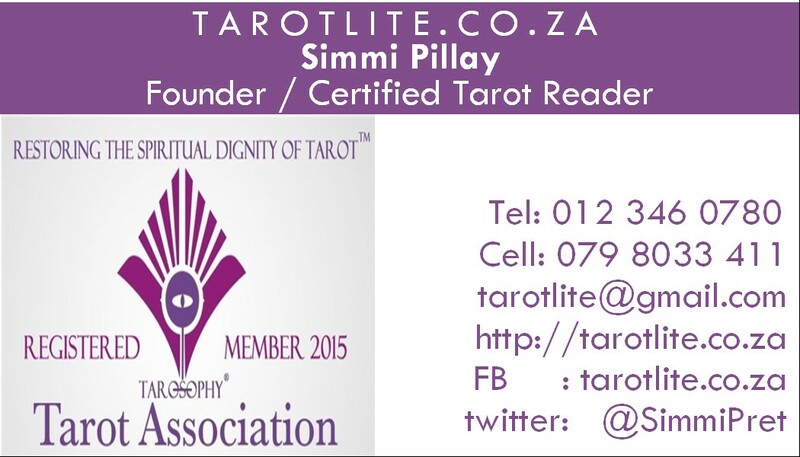 I love enabling people through this journey of self-development. This week I write with a heavy heart in reaction to what is happening in South African politics. I hope that we will weather this storm and come through this period stronger and resilient. Blizzard: Disturbance to natural state. Internal conflict. Blocked energy. Feeling threatened or battered. Isolation. Snow: Hardships. Snow forces things to slow down. Coldness and frigidity. The whiteness of snow can be purifying. Depending on individual reaction to snow, it can be harsh or relaxing. For instance, warming up and snuggling when it snows outside or dreading the bitter winter months. Rain: Emotions that take away from happiness. Tears, sadness or an emotional release. Fertility, condensation or purification. 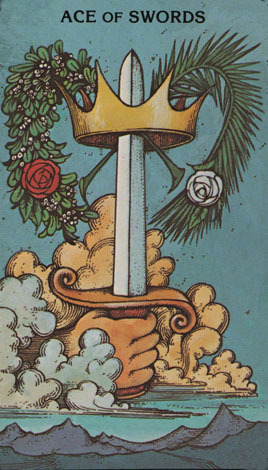 In the 3 of Swords the rain refers to the astrological attributes of Saturn. Wind/Windy: The wind is air in its active and violent aspects. Being symbolic of the intellect, windy conditions can signify a surge of ideas and literally brainstorming. The wind has power that can be felt but not seen and connects us to the presence of the divine. 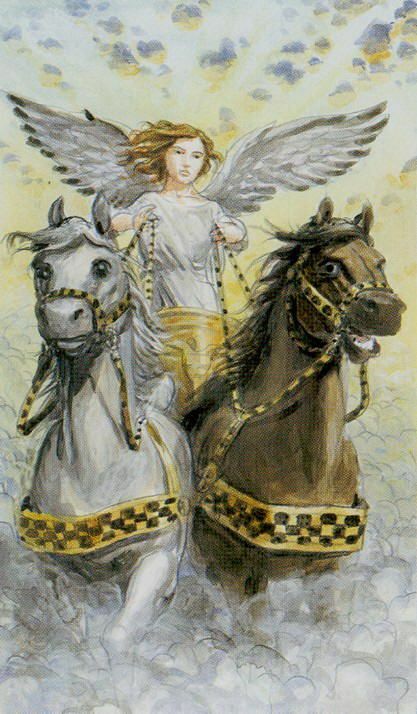 In a reading, the wind can signify a message from the spiritual realm. 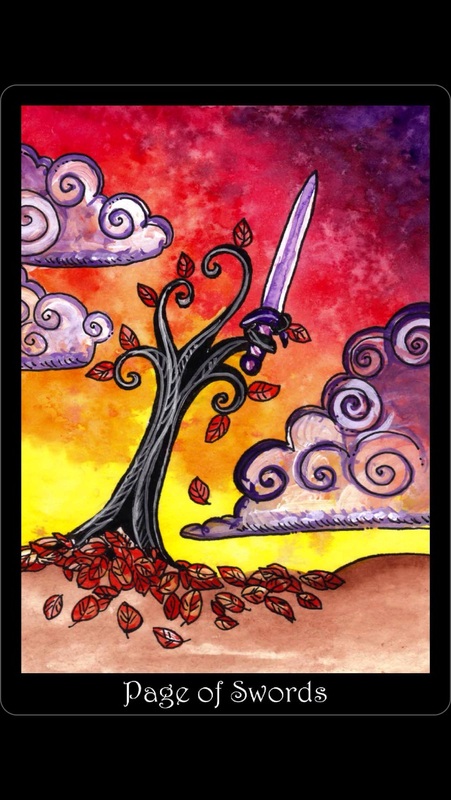 Clouds: When a card that has clouds appears in a spread, it is helpful to consider the type of cloud shown in the illustration. Patchy clouds with light or sun rays shining through often can mean the passing of breakthrough in situations. Clouds can be thick and hide the divinity present in all things. Bright clouds can be seen as uplifting while dark clouds spell trouble or delays. Lightning: An aspect of the element of fire, lightning can be life-changing in both positive and negative ways. A sudden illumination or a flash of inspiration demonstrates how fast lightning works. Certain urges and drives like sexual frustration can be shown by the display of lightning. 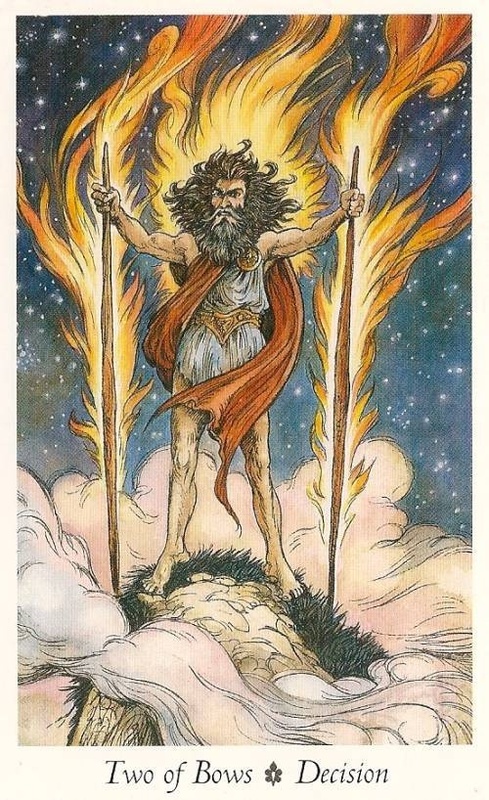 In mythology, Jupiter’s three thunderbolts represented chance, destiny andprovidence. What are the chances of being hit by lightning? Mountain/ Mountain Peaks: Mountains bring a huge awareness into life situations. Man has long tried to climb and conquer the highest mountains that can represent the realm of God. The mountains are a place of higher consciousness and communion with the Highest Self. A mountain can signify a unique event. Mountains can be a symbol of challenge or a symbol of isolation. 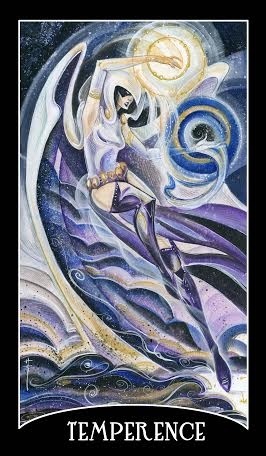 Seas/Oceans: The element of water is illustrated in many different scenarios in tarot. Although there are specific astrological and esoteric meanings for water, in a reading take into consideration whether the water is still, waving, rolling, etc. Does the water look survivable? Does it go to or from somewhere else? A large body of water such as a sea or ocean signifies a confrontation with something new and unfamiliar. It calls to mind an infinite collective unconscious in which we all have a part. The sea gives us a boundary yet calls us to independence. 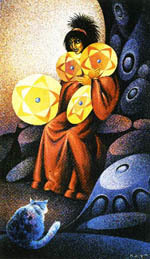 Several cards have the sea depicted with some sort of boundary in the form of a wall, shore or landscape. Rainbows: The rainbow is a very old means of communication between god and man. It is a message from the divine that lets us know of the good that is coming. Rainbows are a symbol of crossing from one phase of life or an experience to another. 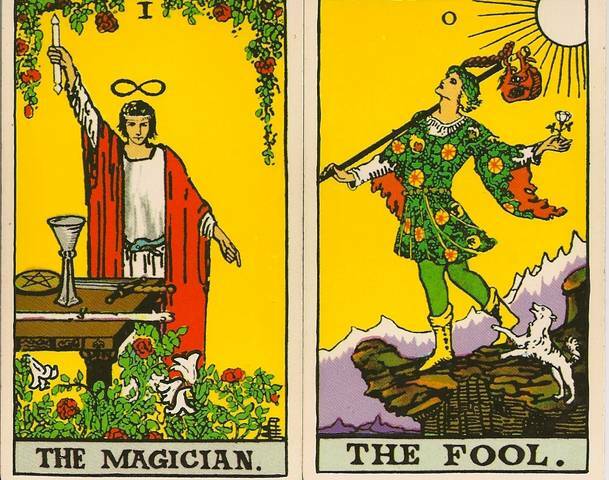 Although generally positive in a reading, it must be noted that rainbows are optical illusions and we could be only seeing what we want to see or only a part of the story. Sunny/Sunshine: Radiance, warmth and vitality. The connection to the sun is often represented by the colours yellow and orange. 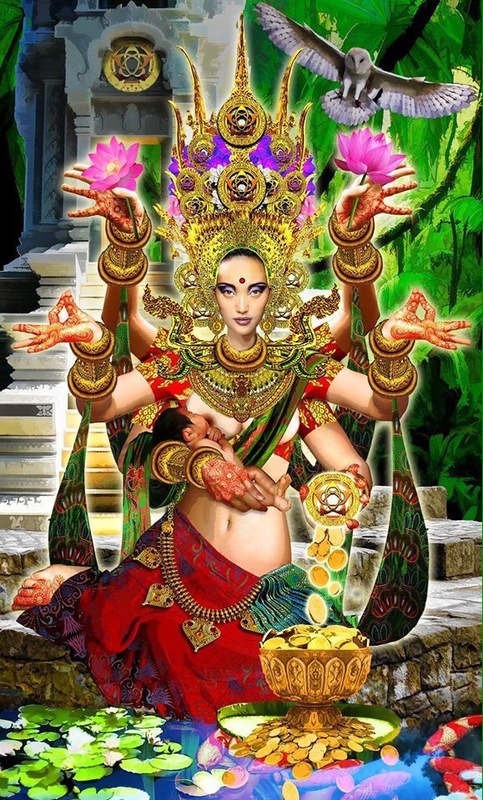 It symbolizes a new start and a greater awareness of Self. 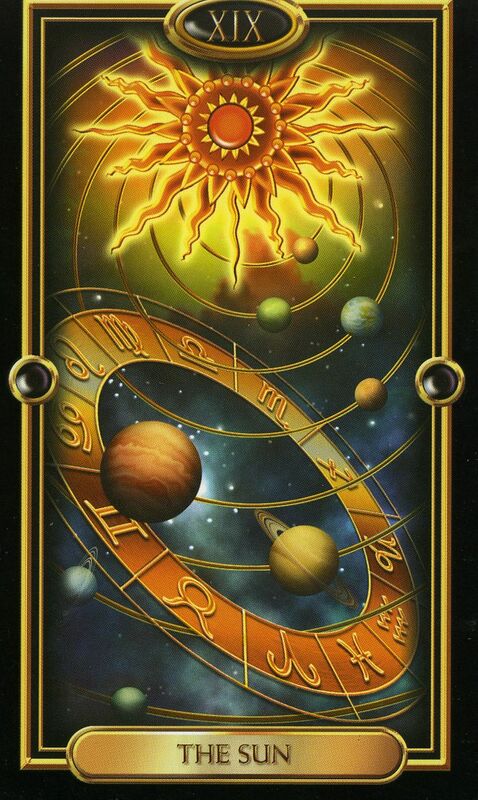 In a reading, a sunny day depicts happiness, pleasure and generally positive outlooks. 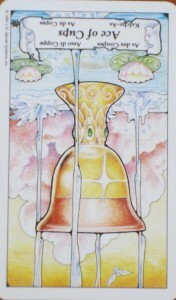 The Knight of the Cups is a call to take action in your emotional life. It often represents an invitation or the arrival of someone or something with an emotional benefit. 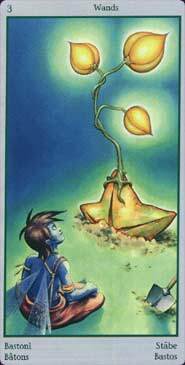 This card asks you to be open to receive a new experience. 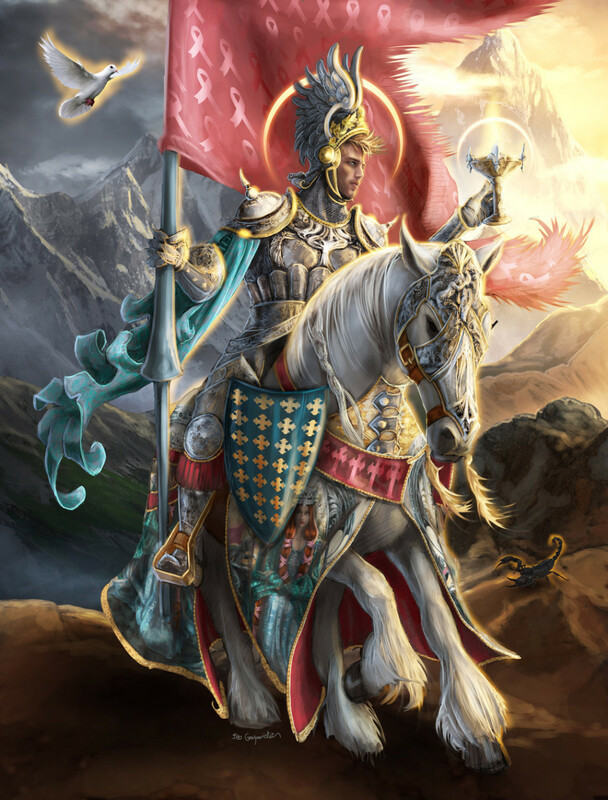 The Knight of Cups can also represent wisdom and insight that comes from your dreams or intuition. You are asked to focus on the intangible soft aspects of the Self. 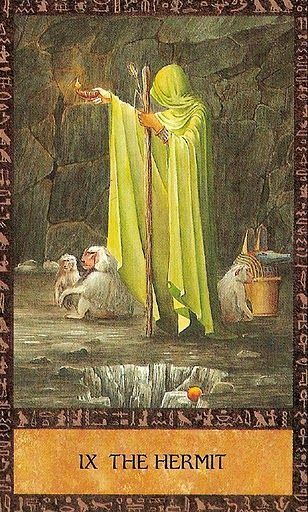 The Hermit shows the way to wisdom. 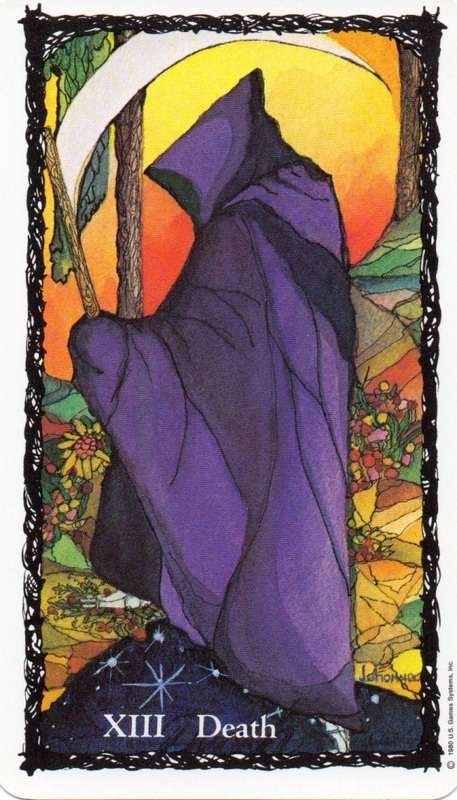 It is a healing card. It indicates a time of introspection. Transcend using the lessons learnt. You will be called on to lead with your light. 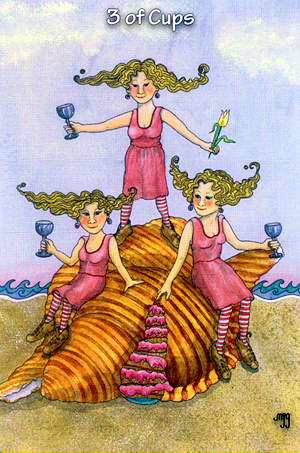 This card is a symbol of celebration after a challenging time. The commemoration of an achievement. The demonstration of celebration and gratitude for blessings in our lives, no matter how small, is important. It is also the symbol of synergy within a group/team. It is an excellent omen for forthcoming merriment. Find your tribe to celebrate with.